We could not save as many shelter pets as we do without our incredible foster network. A foster provides temporary living until a permanent home is found. We rescue many animals from high kill shelters where if an animal isn’t adopted quickly — sometimes a matter of days — it will be euthanized. EASEL believes Every Animal Should Enjoy Life. Simply, the more foster homes we have, the more animals we can save. You can contact the Foster Coordinator at 609-883-0540 for more information and we encourage you to submit an Online Foster Application or Foster Application PDF. 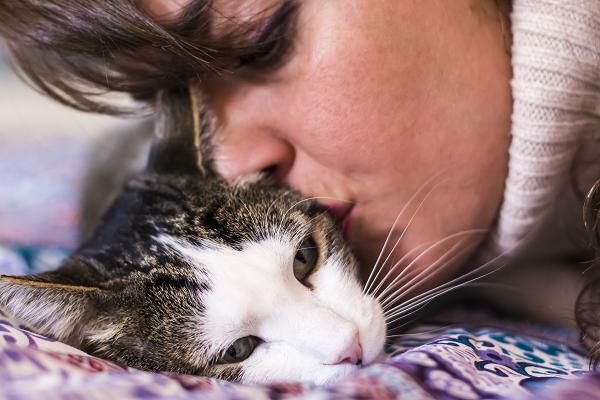 Our Foster Coordinator will contact you to evaluate your household arrangements and personal preferences in order to match you with a homeless animal. One home can make the difference. It depends upon the animal. It may range from a few days to several months or more. We can provide you a better estimate before you take him/her home. • Your job is to love, care for, feed, and provide a safe, nurturing environment until a forever family is found. • While the animal is in the foster program, EASEL will be responsible for all of the animal’s medical treatment (including medications and vaccinations) so visits may be required from time-to-time. • Bringing your foster pet to three EASEL Adoption Day events a month. • Arranging to meet potential adopters. • An enriching and rewarding experience! One home DOES make a difference.